At Spark of Amber, we try to listen to what our customers are asking for. We recently added some 21-22″ length necklaces to accommodate those customers who prefer longer lengths for their amber necklaces. Rainbow Raw Baltic Amber adult-length necklaces are now offered from Spark of Amber in the 21-22″ length. 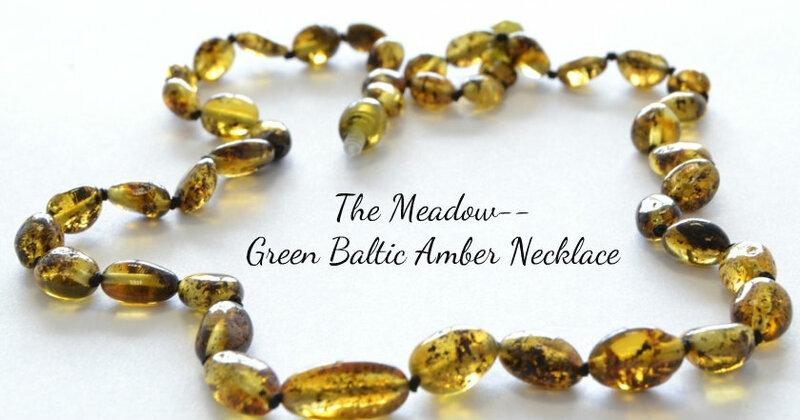 Have you seen the Spark of Amber new Rare Green “Meadow” polished Baltic Amber necklaces? These necklaces are made of oval/bean shaped polished amber beads, knotted in between for durability. They come in a 18″ length and a 21-22″ length! 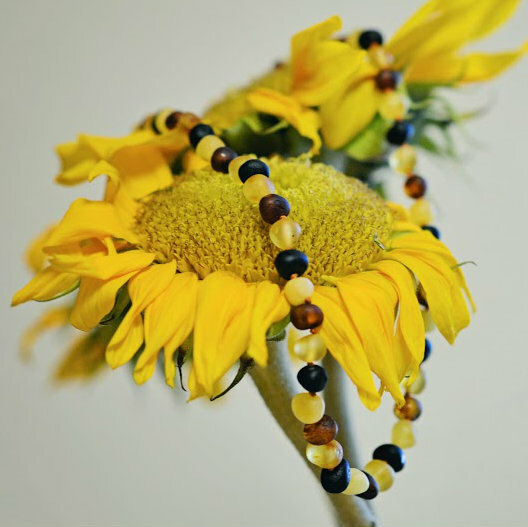 Also, at Spark of Amber, we carry a matching Meadow Green Baltic Amber stretch bracelet with round polished Amber beads. Another new necklace we added at Spark of Amber is the luxury Falling Leaves necklace. 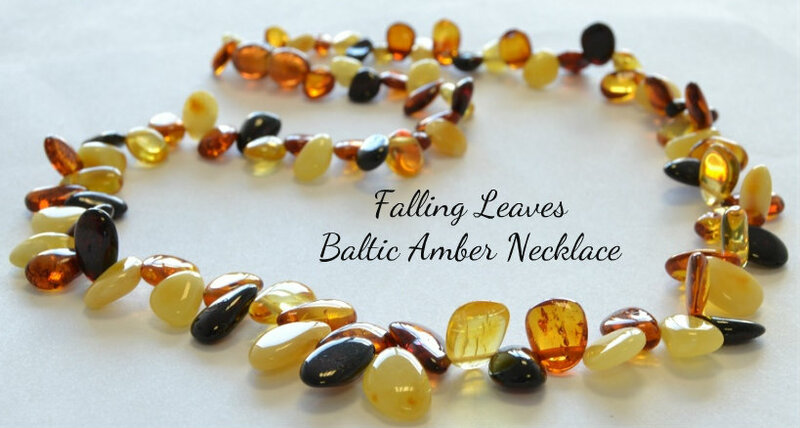 With a variety of colors, you won’t want to miss out on this beautiful addition to your Baltic Amber collection! 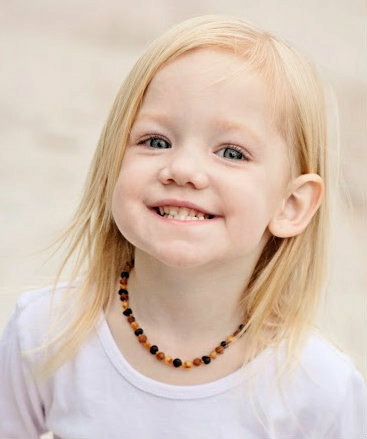 For the children, we added a Rainbow Raw amber teething necklace to match our adult Rainbow Raw Baltic Amber necklace! We have more beautiful amber jewelry to add for the holiday/Christmas season, so stay tuned and follow Spark of Amber on Facebook to see our latest jewelry items! This entry was posted in Baltic Amber Gifts for The Holidays, Baltic Amber Jewelry, Information About Amber Jewelry, SparkofAmber News, Uncategorized and tagged amber necklace, amber necklaces, Amber teething necklace, baltic amber necklace, baltic amber necklaces, Baltic Amber teething necklace, green amber, Green Baltic Amber, long amber necklace, long baltic amber necklace, Longer amber necklace, raw amber, raw amber teething necklace. Bookmark the permalink.